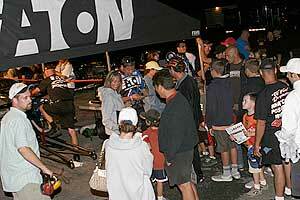 Racing is fast-paced excitement, and appeals to a broad spectrum of people. Carl Spiering Motorsports offers an array of entertainment, marketing, and advertising opportunities for your company unlike any other sport. We pride ourselves on providing value for our sponsors relative to other race teams and other marketing investment opportunities. We manage and maintain mutually beneficial and long-term partnerships with our sponsors, providing them with a valuable return on their investment. 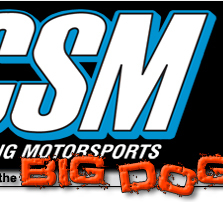 A partnership with Carl Spiering Motorsports delivers an opportunity to build brand equity and grow your business. We open the lines of communication with our partners, learn more about your business such as its needs and objectives, resulting in a tailor-made program to help achieve those objectives and provide a valuable return on sponsor investment. Opportunities exist at associate sponsor levels. Having a presence with Carl Spiering Motorsports allows your company to benefit from the power of motorsports and offers your clients and guests to experience "life in the fast lane". A full line of services is available to sponsors through our marketing department. 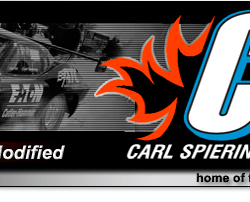 Carl Spiering Motorsports fields a very competitive, first-class Pro Modified race team in drag racing with a high degree of professionalism both on and off the track. In addition to high profile driver Carl Spiering, a full racing facility will house a crew of quality mechanics and technicians, assuring a 100 percent effort for your company at every event. Carl Spiering Motorsports provides a competition platform that supports and complements the brand identity of your company. Carl Spiering Motorsports will make every effort to put you in the winner's circle with both on-track performance and off-track endeavors and achievements. With Carl Spiering Motorsports, you will be assured of a distinct form of customer service. From the team's owner to marketing personnel, Carl Spiering Motorsports will demonstrate and maintain a high level of attention and professionalism for you. Carl Spiering Motorsports offers the unique opportunity to target the demographic profile of the drag race fan base, along with the emotional ties that are part of the Carl Spiering Motorsports team. Your company can brand and become identified with one of the fastest-growing and most popular forms of motorsport in North America. You can also capitalize on the business-to-business opportunities that will be facilitated through Carl Spiering Motorsports. One of the most popular divisions in drag racing, the Pro Modified class captures the true spirit of hot rodding. Bursting on the scene several years ago, this division offers a widely diverse group of race cars with a variety of 2000-horsepower engines propelling the cars down the quarter-mile in the low six-second range at speeds well over 230 mph. There have been several under-six second passes in this class. The Pro Modified class was an extension of Top Sportsman racing, but now offers unique body styles and huge supercharged or nitrous oxide powered engines. By the mid-1990s, the class became very popular with fans, body styles range from 1933 Willys coupes through Mercury and Chevy bodied-cars of the 1950s and split-window Corvette Stingrays of 1963 to more modern-looking Camaros, Novas, and Chargers, and the class grew in stature and popularity. The International Hot Rod Association embraced Pro Modified as a competitive class in 1990. The first IHRA Pro Modified champion was crowned in 1990, and cars were running low to mid-seven elapsed times with speeds of around 200 mph. By contrast, in 2007 Carl Spiering ran a personal career best quarter-mile run of 6.00-seconds at 237.63 mph at the IHRA Canadian Nationals at Cayuga, Ontario. In 2001, the National Hot Rod Association adopted Pro Modified racing, and while the class has become popular at selected events, the NHRA is still treating Pro Modified racing at an exhibition status. 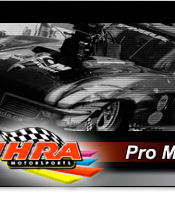 Pro Modified racing offers the best in heads-up professional drag racing with the sport’s most diverse, entertaining, and crowd-pleasing race cars.